Lemme take you guys to the other most happening metal city of Nepal Pokhara. If you are aware of the Nepalese metal scene then i am pretty sure you guys are aware of BRUTAL POKHARA. They are one of the respected names among the metal community inside the country as well as round the world. The institution has done many extreme metal shows such as Disharmony, Butchering the Values and many more shows featuring international acts like Defiled, Manzer, Funerus and many more, Recently they hosted the 1st edition of Pokhara Metal gathering. 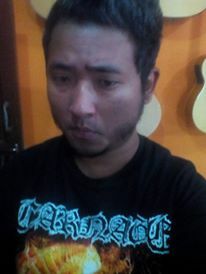 Brutal Pokhara is fronted by non other than Zivon Gurung who is also one of the founding member of Nepal DeathFest as well as one member of Defender of Metal team. In a short span of 3 years the institution has won the heart of extreme metal heads around the country and as well as have earned a massive global respect. 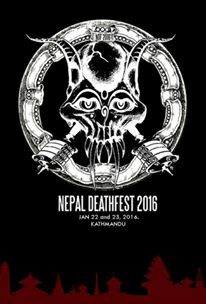 Many elite extreme bands have started to show interest in Nepal DeathFest and the recent example to justify my word is the Lineup of NEPAL DEATHFEST 2016. This installment is headlined by none other than Flesh Crawl and co headlined by the Brazilian Giant Nervo Chaos backed up by some killer bands from U.K, Japan and India. I (Sagyan) had a brief talk with Zivon and he told us many thing about the event as well as how he and Vishal landed on the idea of NDF. To know much about BRUTAL POKHARA Click here and to get more detail information regarding Nepal Deathfest 2016 Click Here. Greeting Zivon it’s been quite a long time talking with you. Tell us what's new in Pokhara? Greetings Sagyan, recently nothing happening here in Pokhara things are much passive due to some nasty political instability here in the country. Well apart from all crises, but yeah we are preparing for NDF pre-gig next year on Jan and of course the showdown NDF. So, most of the time we are busy planning and preparing ourselves for that. Apart from NDF there is Noise Cetamol coming up in December so looking forward to it too. Well the lineup is quite intense of Noise Cetamol waiting for the gig. By the way can you say in brief about Noise cetamol? Well, it’s particularly not our show but we are only involved to a certain level. It’s a grind-Punk DIY show. Thats all I can say. Well coming to the main point, “NDF” have created a huge impact in previous 2 editions. How is the response for this installment? The response is massive. We are surprised that the interest is coming from all parts of the world. We already have booking from places like Austria, Israel, Malaysia, Australia, India and Germany. They all must be tourist visiting Nepal in Jan but people knowing about NDF and wanting to attend and somewhat scheduling their visit around the time of the fest is a violently soothing feeling. It's clear from this editions lineup Fleshcrawl, Nervo Chaos and many more for sure it’s going to be massive one. Even my jaws were open after the announcements were made. Zivon all the metal head from here and round the world are keen to know how did the planning of NDF begin? Well it all came out for the love of Extreme Music. A fest similar to NDF was always a dream of mine and it was only a matter of time that something similar would happen. But it was no easy task to carry out something as ambitious as NDF unless you had some really good and dedicated supports and that's when Vishal (EUMSN) came in. I was really impressed with his dedication and love for Extreme Music and he was the exact kind of person that I was looking for. Later Aabeg (Massacre Events) also joined us and I must admit we are tuning out to be pretty good team now. For sure it is. 1st edition was a regional one, 2nd was headlined by none other than Defiled, Smallpox aroma and Malapetika and 3rd installment none other than Fleshcrawl and Nervo chaos its getting huge. I will like to ask you whether the event is an indoor like previous editions or an open air? Yes, it will be. We think Nepal is still not ready for an Open Air concert (Metal) left alone a genre-based fest. So how is the preparation going on for the fest? People have enormous expectation from the fest and we are very determined to give the best NDF till date despite all the hindrances and sorry condition of the country. Nothing can stop us. We think we have gathered a good line up for both the days and it’s a big task to handle it properly and professionally but we are ready for it. Just waiting for the big day. Well best wishes for NDF 2016. I almost forgot to ask regarding the pre gig. Can you tell us about when and where is it happening? Thanks a lot. The pre-gig is happening in Pokhara in Jan, hopefully 2 days before NDF. Meat Train will be playing with Rip Off- Pisakas-Riot and some other TBA bands. Thank you Zivon for your precious time, on behalf of entire Two guys metal review team i wish entire NDF team to have a massive 3rd installment of NDF. Thank you very much. Convey my regard to Matt. Haven't talked to him lately. See you all in NDF 2016.